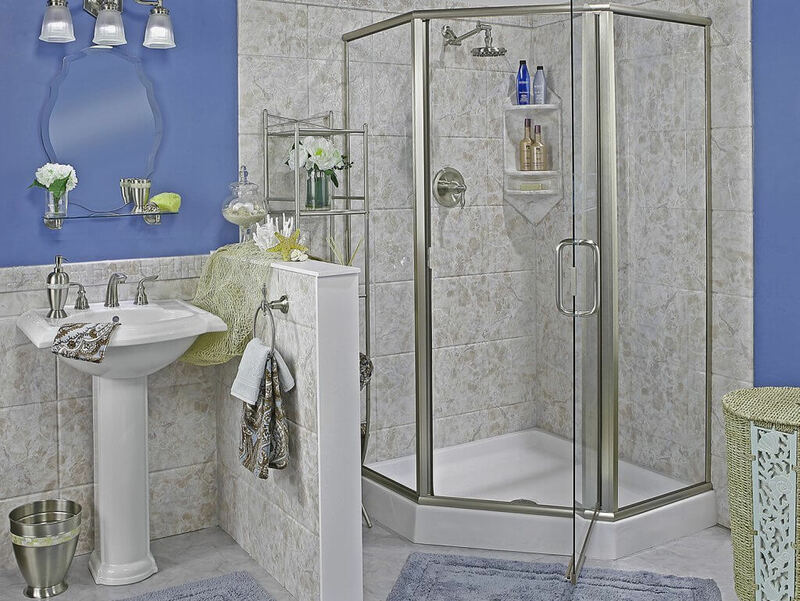 An updated bathroom can add enjoyment to your everyday life and value to your home. 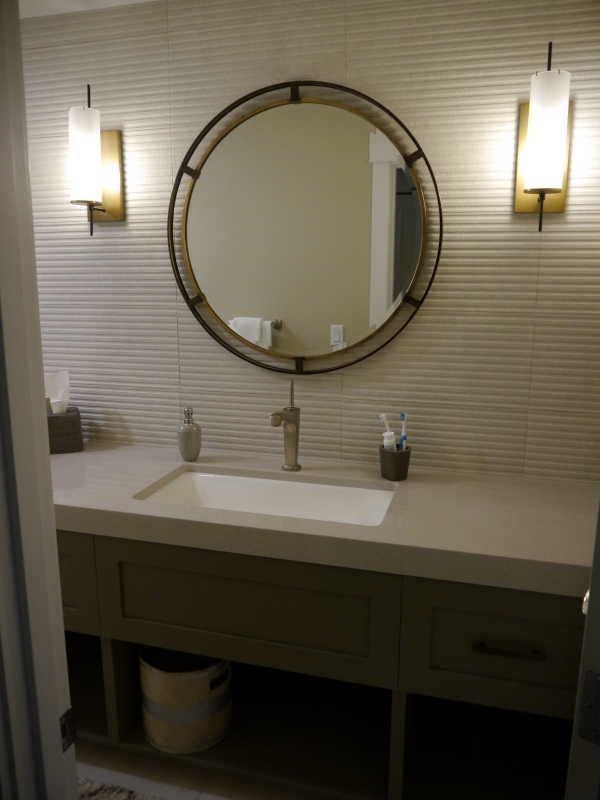 With many options to choose from, such as seating areas, built in make-up vanity’s, large custom tiled walk-in showers, and custom lighting you can transform an ordinary bathroom into a luxurious space. 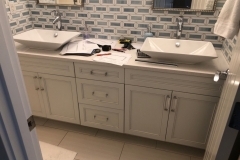 As with kitchens, often times existing cabinets can be refaced instead of replaced, saving time and money on your remodel project. 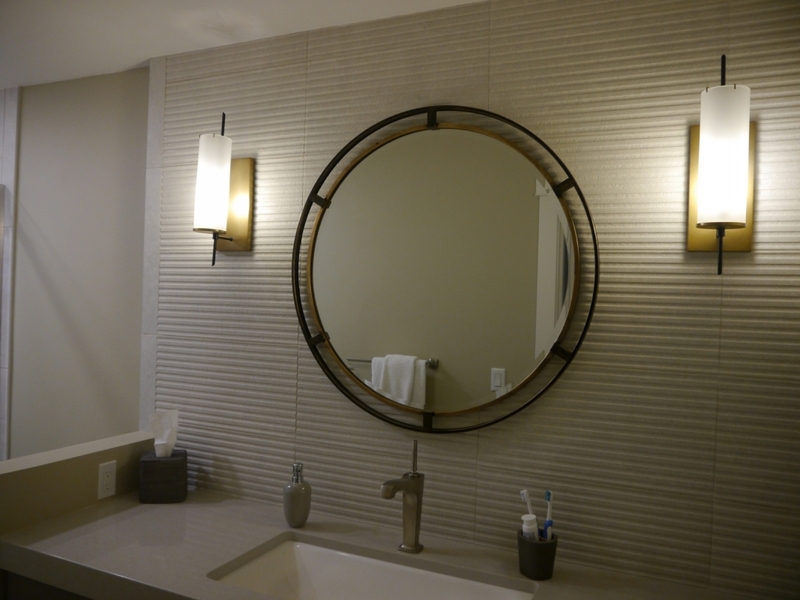 At Innovative Kitchen & Bath, our designers can assist you with creating the bathroom that you have always wanted – and with the functionality you desire. 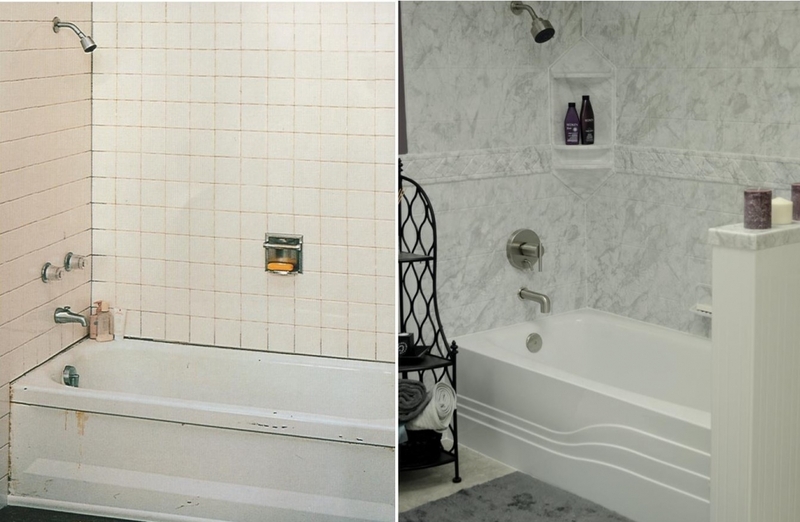 To one client, a bathroom renovation might mean converting a bathtub into a tiled shower and replacing flooring and a vanity. 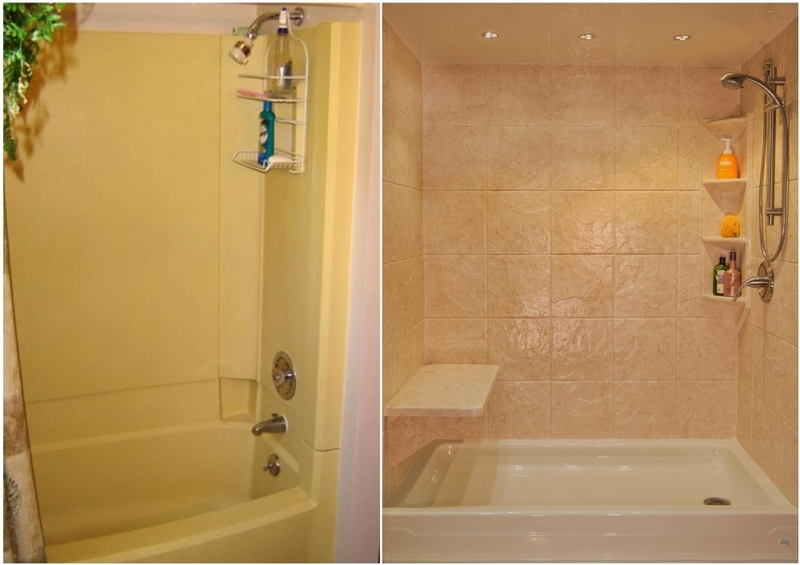 Another client might want to gut the bathroom completely and replace everything (and maybe rearrange where the toilet, shower and vanity are within the room) — both of these examples are considered a bathroom renovation and both are bathroom remodel projects that Innovation Kitchen & Bath in Kirkland has extensive experience in completing. 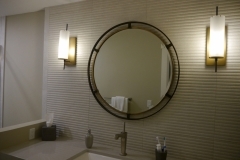 Depending on the space and the type of use of the bathroom (master bathroom versus kids bathroom, for example), we often explore several options for the scope of the bathroom remodel project and what types of materials to use. 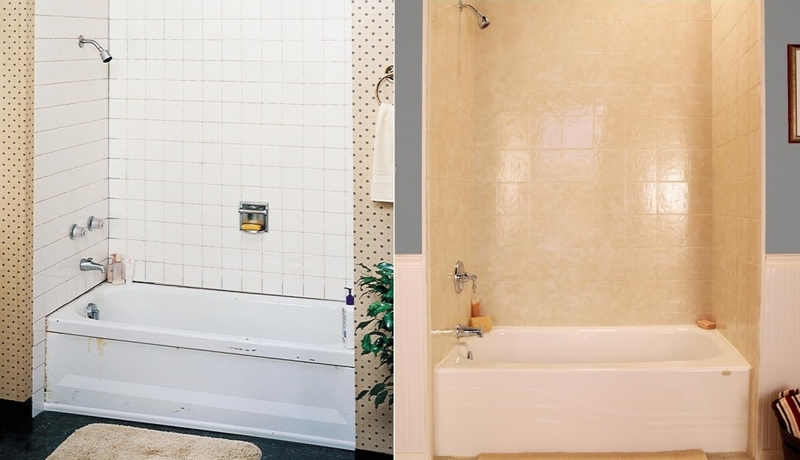 Unlike a kitchen, since most homes have more than one bathroom, the impact to a family during the bathroom remodel project is less of an inconvenience. 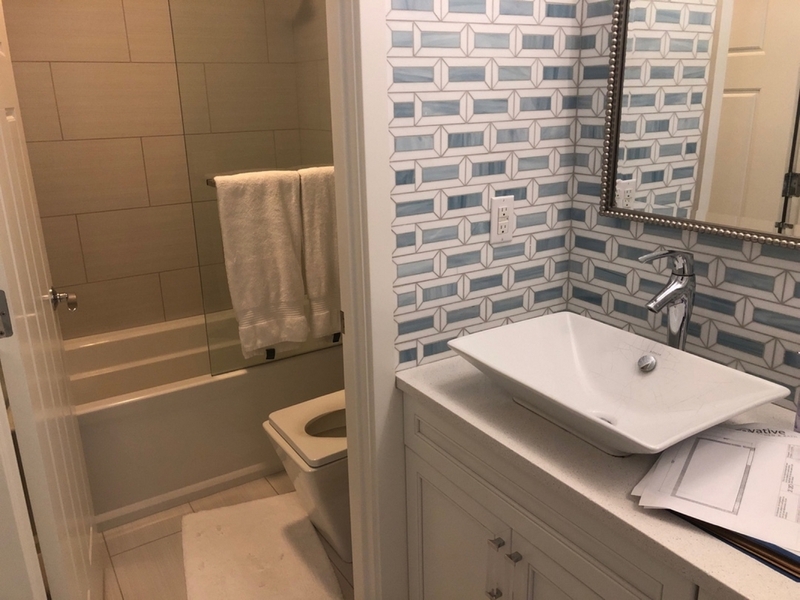 Nonetheless, our bathroom remodel crews work efficiently to complete your project, so that you can begin enjoying your newly remodeled bathroom as soon as possible! 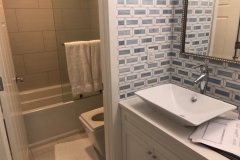 Redmond Classic Master Bath – Includes replacing mirror with window, heated marble floor, foil cabinets, glass stone mix deco band wainscoating, freestanding tub, and frameless shower. 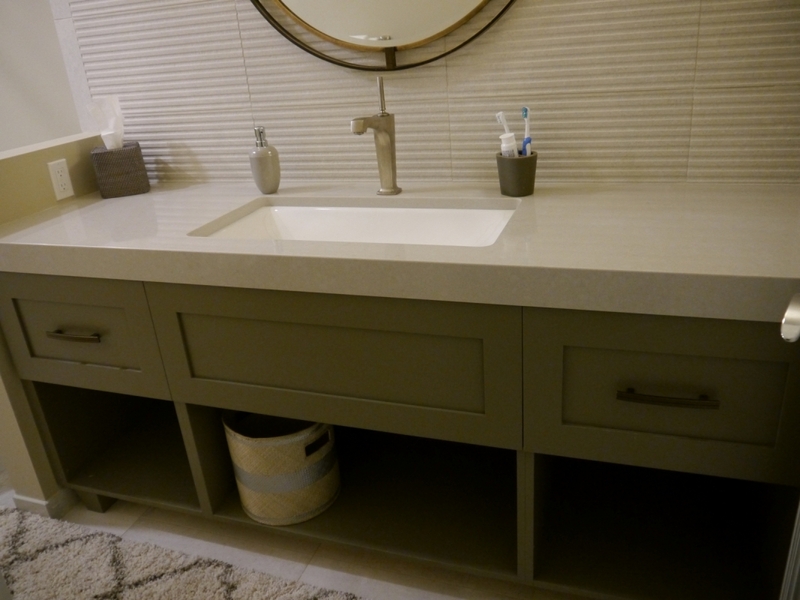 Redmond Modern Master Bath – Features stained alder cabinets, quartz countertop, 16 x 2 porcelain tile with vertical deco strip in frameless shower, Kohler underscore tub, bench with pullout linen drawer, new lighting and fans. 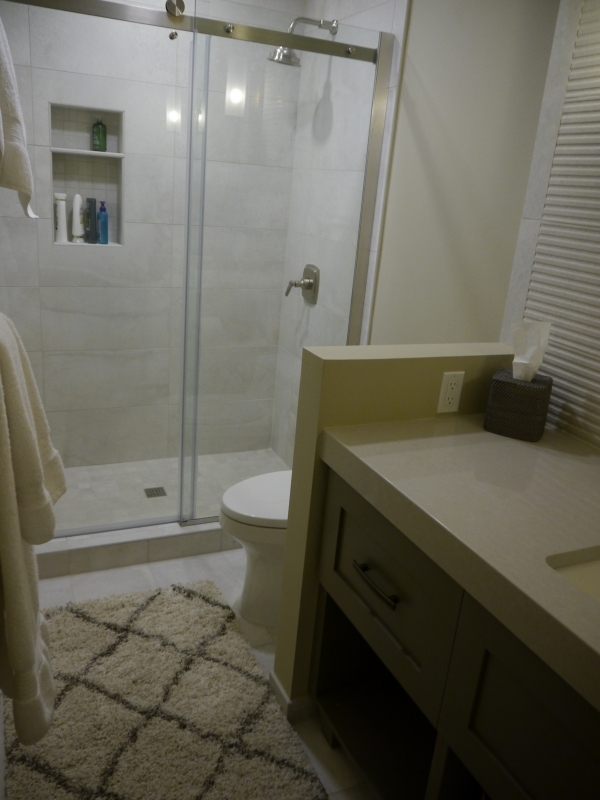 Duvall Bath – Remodel includes vertical grain fir Shaker style cabinets, marble countertop, large walk-in shower with vertical set deco tile, pull out linen hampers, porcelain tile heated floor. 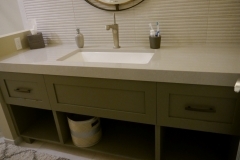 Mill Creek Master Bath – Includes frameless walk-in shower, all porcelain heated floor, quartz countertop, cherry cabinets with medium stain, and Kohler underscore tub faced with porcelain tile. 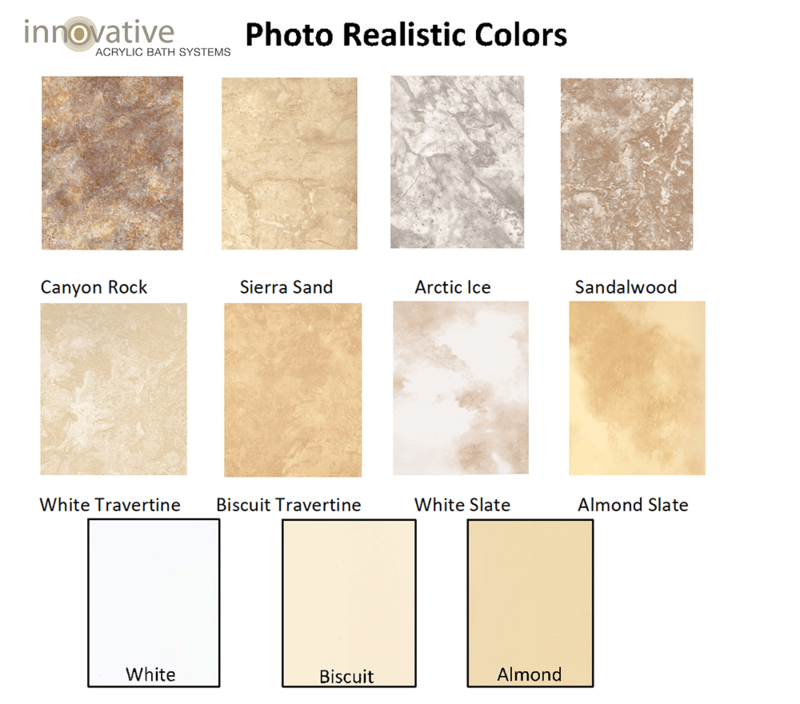 At Innovative Kitchen & Bath we specialize in kitchen and bath remodeling. 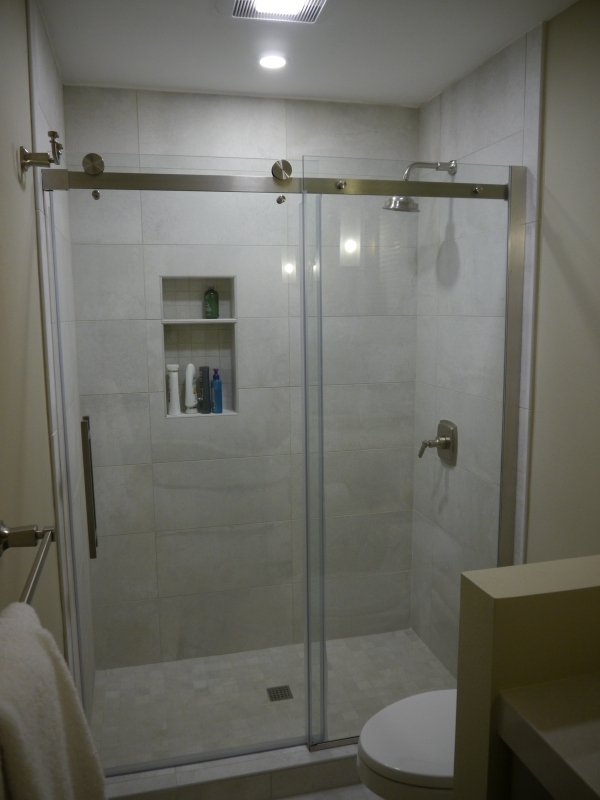 We provide our customers with the highest quality remodels, not the highest priced. 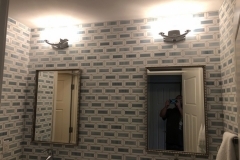 We complete our projects on time and stay within budget.  Choosing to move forward with a remodeling project is a big decision. 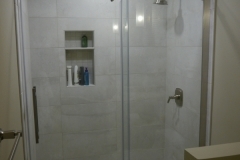 Choosing the right contractor is paramount in a smooth and efficient remodeling project. 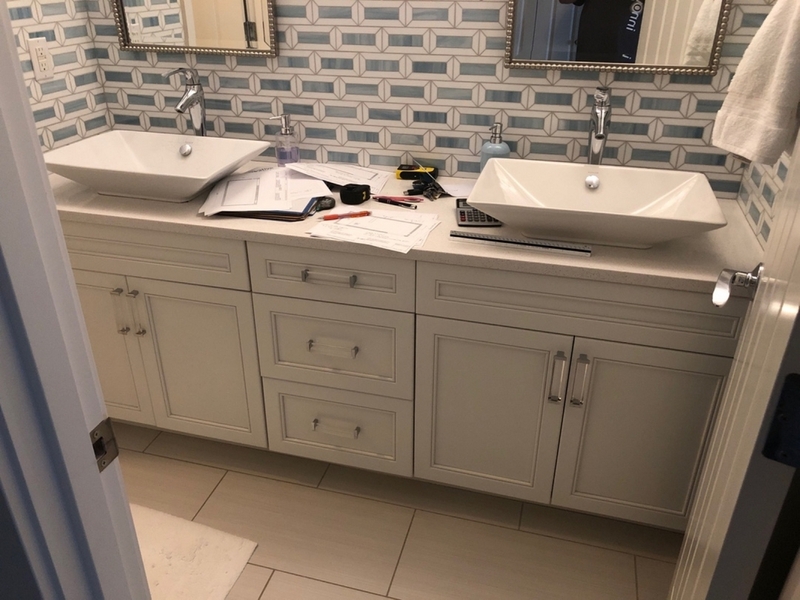 You would not go to your dentist to set a broken bone, and you should not go to a jack-of-all-trades contractor to build your dream kitchen or bath. 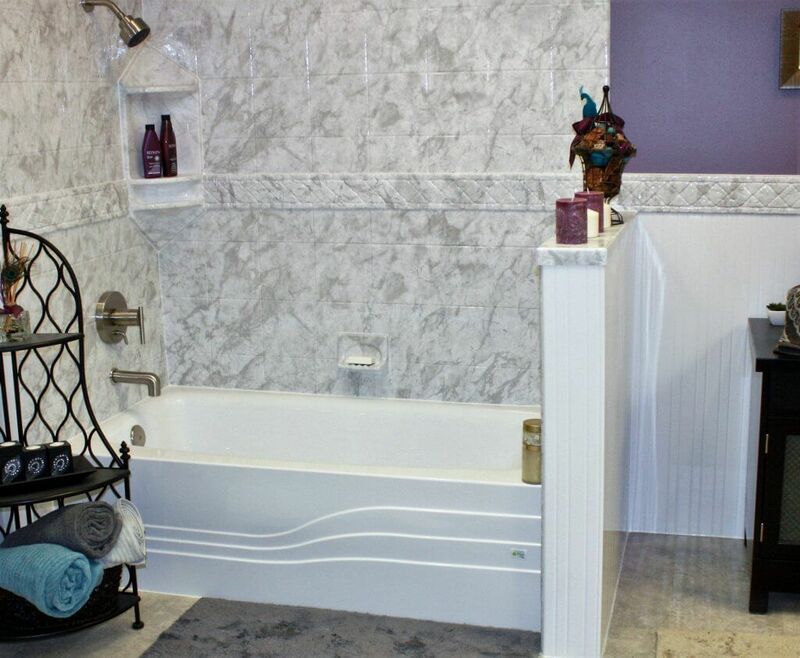 At Innovative Kitchen & Bath we have over 28 years of experience in kitchen and bath remodeling. 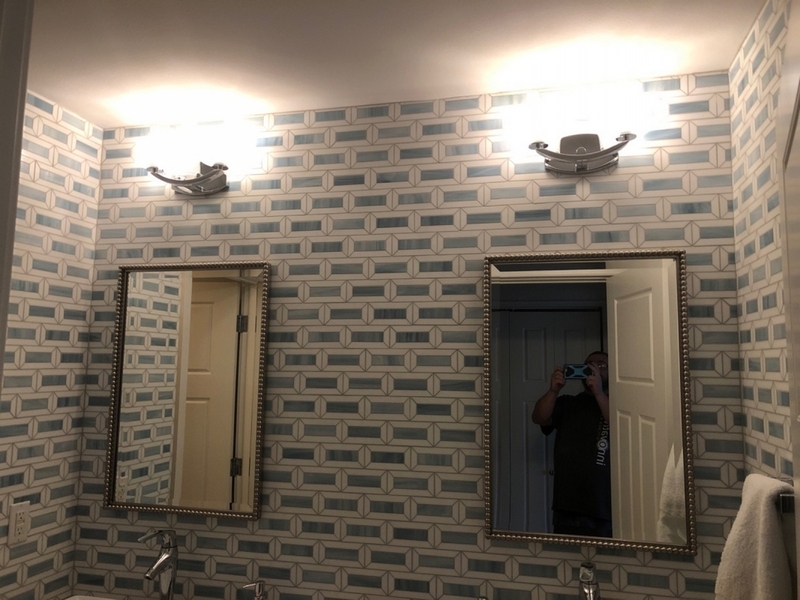 We have the expertise required to tackle any remodeling job, big or small, and we stand behind the quality of our materials and our craftsmanship. 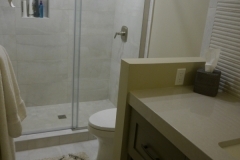 See more remodeling projects in our Remodel Showcase. Sammamish Kitchen – Stained slab style maple cabinets complement the quartz countertops and marble tile backsplash. The island features painted cabinets with a honed marble countertop. Hunts Point Kitchen – High gloss acrylic upper cabinets and alternative material base cabinets are slab style. Quartz countertops and glass mosaic backsplash add contrast to this modern kitchen remodel. Lakemont Kitchen – Stained Shaker style cabinets set off the granite countertops and linear glass tile backsplash. Bellevue Kitchen – Satin foil finish Shaker style cabinets contrast with the slab style Innovative Design Series island cabinet. 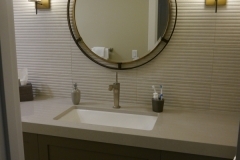 All countertops are granite with honed finish. The subway tile backsplash has a decorative accent band. Woodinville Kitchen – Slab style high gloss white acrylic cabinets with soapstone countertops are finished with a hand-blended glass tile backsplash. Kirkland Kitchen – Shaker style white painted cabinets, quartz countertops, and ceramic subway tile backsplash highlight this kitchen remodel.